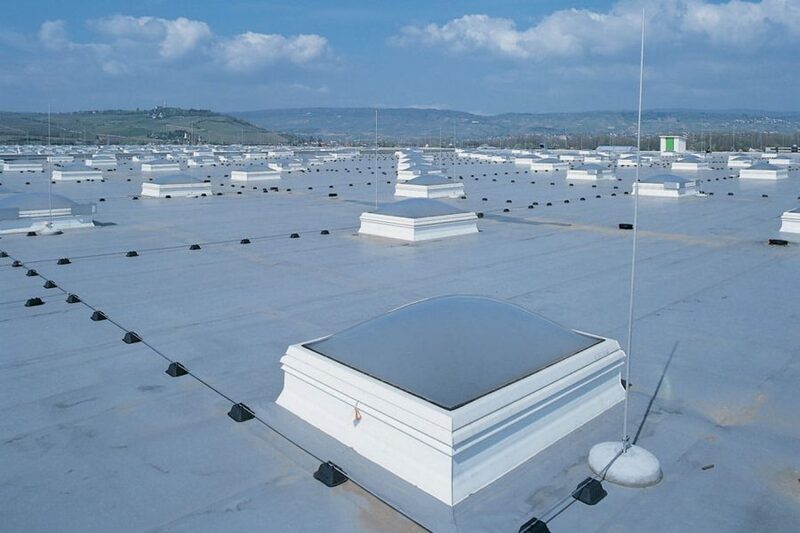 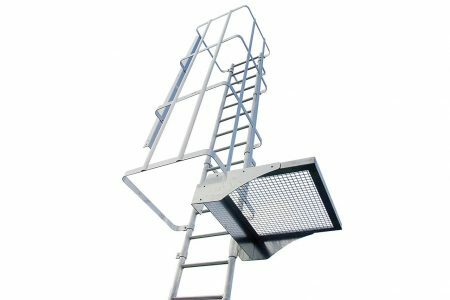 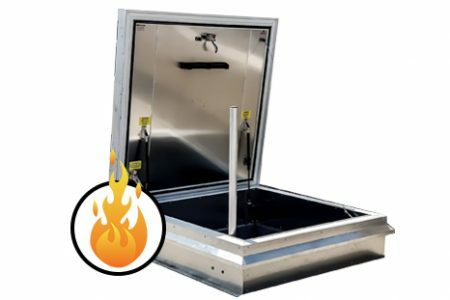 The Surespan Roof top AOV smoke vent offer exemplary functional safety and reliability, fully CE marked. 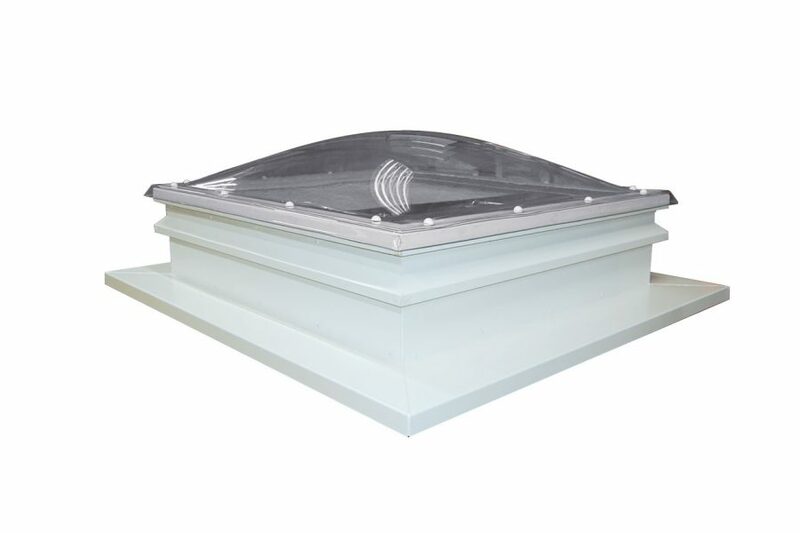 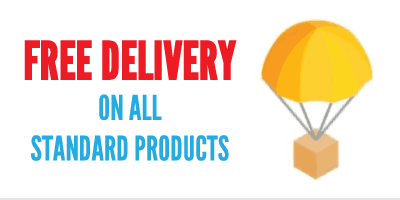 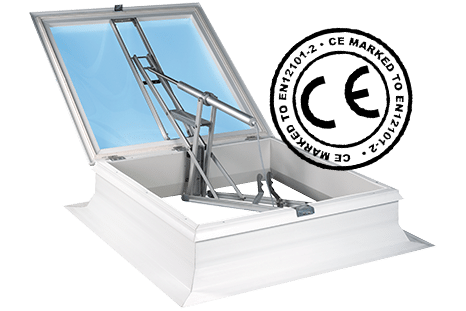 The Ventilator can be supplied with a triple glazed polycarbonate dome in clear or diffused variants, The unit has a 300mm high thermally broken aluminium upstand that is suitable for use with the majority of roofing membranes. 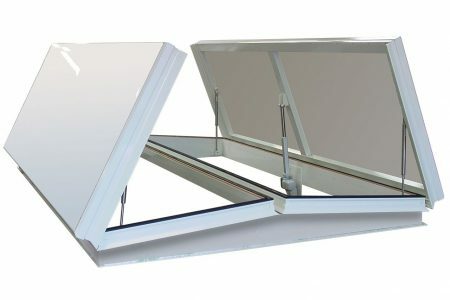 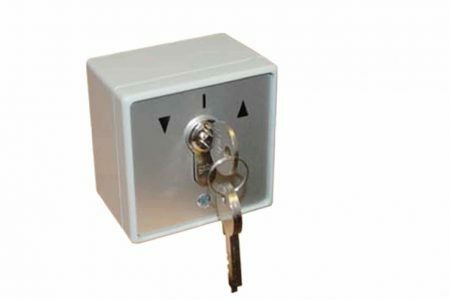 The unit can also be used to incorporate natural day to day ventilation in your project. 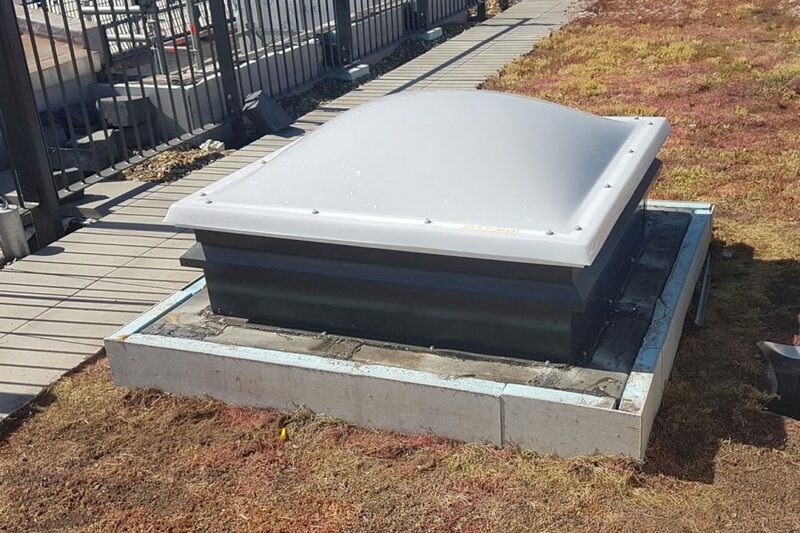 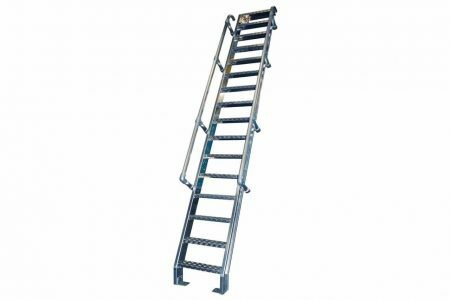 The Units actuators are off set within the aperture and this allows the unit to also be used for maintenance access to the roof of your project. 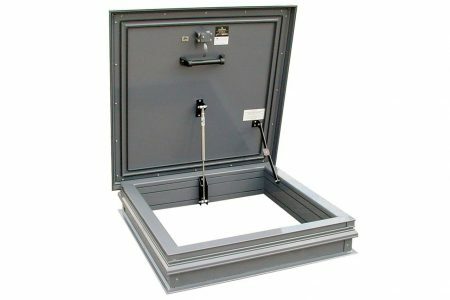 The units can be supplied to your free vent area requirements in either a geometric or aerodynamic value.